I love a good list! 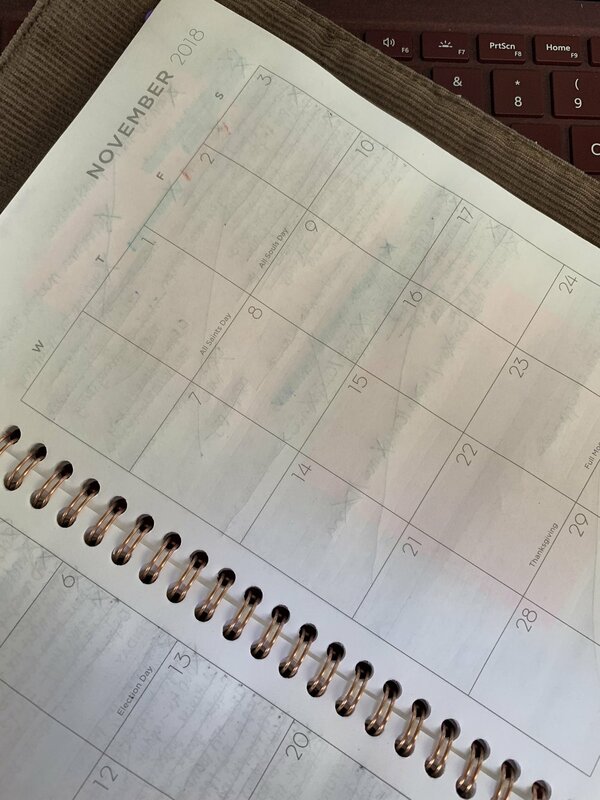 It feels amazing to cross things off and even carry them over to the next day, week or month. Between my career, Breaking Glass Girl and my personal life I need to stay organized. Can anyone relate? Our lives are complicated and busy. No longer are there days of one family computer with dial-up internet. Nope – now we have computers in our hands practically 24/7. Type A. The hypothesis describes Type A individuals as outgoing, ambitious, rigidly organized, highly status-conscious, sensitive, impatient, anxious, proactive, and concerned with time management. People with Type A personalities are often high-achieving "workaholics". I’m admittedly a Type A personality and I love organization, processes, and systems! There was a time when my pens had to all be facing the same direction in my desk – or I’d lose it. Luckily, today I focus less on the direction of my pens and more on the tasks at hand, big picture, and future planning. I’ve been thinking about downloading an organization app for Breaking Glass Girl. I haven’t found one I love. I am a traditional girl at heart and I think a pen and paper does the trick. Since high school, I’ve been writing lists in planners. I’ve carried this practice into my career and it works perfectly for me. I color code my highlights based on action vs. notices, use a sticky note system and have an order to prioritize my list. Writing everything down allows my brain to record it so I can recall it even when I don’t have my list in front of me. Plus, at the end of the year, I love shopping for a new planner even though I buy the same kind every year. I haven’t adopted a true organization system for the blog yet. I have a series of notes in word documents, spreadsheets, and sticky notes. Less than ideal! Then for my personal life I enter everything into my phone calendar. Before I endorse an app, I want to try a few to see which one sticks. I’ve heard about some but would love your feedback on what works for you. The traditional side of me is beyond worried about the app failing and losing my list. I’m sure there are backup systems… but I still hesitate. However, the practical side of me thinks checking everything in one place will be great! Especially since I work on my blog from various locations. Let me know what you use in the comments. Pro tip: Target is a great spot to buy a planner. They have a lot of options and their prices tend to be lower than an office supply store. I also have bought and returned planners – so don’t settle. Think about how you’ll use it as most people don’t use planners in the exact same way. I’ll provide a review of the apps I try before the New Year as we all should have our organization game plans in place prior to 2019. Starting off the New Year with an organization plan will allow us to focus on our goals without stressing about the to-dos.